Wheel Repair Epsom is conveniently located within a short distance from Epsom, AlloyRefinish specialises in carrying out a comprehensive alloy wheel repair service that restores your wheels to near showroom condition within a short space of time. Because our mobile units are based throughout Surrey and the surrounding area, we are able to get to you wherever you are in no time at all, with a fast, effective solution that sees you back on the road on the same day that we get to you in most cases. Although we are renowned for our fast response time and quick turnaround, don’t be fooled into thinking that we compromise on quality – everything we do conforms to the best standard of our industry, and we are proud of the level of service we are able to offer our clients. We’ve seen first-hand how distressing it can be to suffer serious damage, whilst even scuffs and scrapes can make a big difference. Our commitment as a company is to provide fast response alloy wheel repairs in Epsom that delivers top results. 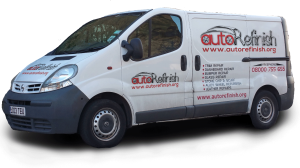 No matter what, when you meet one of our mobile alloy repair technicians in Epsom, you’ll be dealing with dedicated and committed wheel specialists who is proud of their work and guarantees the finish. The result is a flawlessly refurbished wheel that is safe and roadworthy. Replacing a wheel can be an expensive ordeal, depending on the make and model of vehicle in question, not to mention time consuming when you leave it with a garage. Our alloy wheel repairs in Epsom are highly economical, and come with a year’s guarantee on every repair we undertake.